Since I have a three night backpacking trip coming up at the beginning of May and I never did get out on a backpacking trip last year, I wanted to get in a quick overnight trip this month. 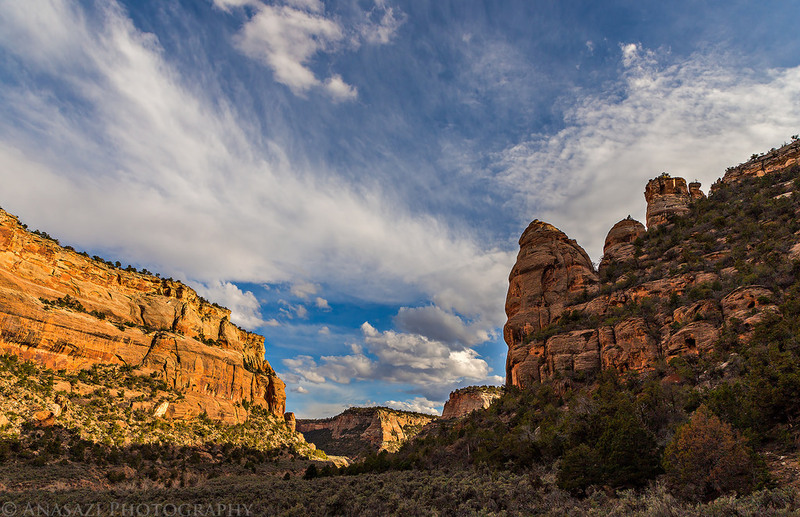 I have also wanted to camp in the backcountry of the Colorado National Monument and hike the full length of No Thoroughfare Canyon. I decided to take care of all three of these goals with an overnight backpacking trip through No Thoroughfare Canyon with my friend Jackson.